Tolan Lark is a Shakien Cat, mercenary, space pirate and occasional spy for the Alliance, but his hunt to end Cor Warrung and the death games has become all consuming, until there is nothing and no one he will not risk to finish the job. At least there is no one he would not risk until he claims a mate. 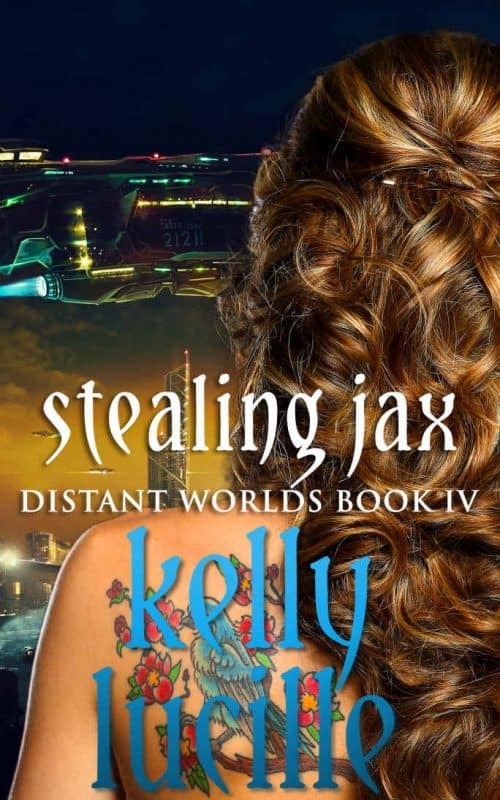 Jax is a royal Dainaree who has left her planet and people behind to follow her own path. She is a powerful mech whisperer; a gift that few of her nature loving people understand or accept. It is a gift that powerful men covet, and she is about to hit the radar of the most powerful and dangerous men in the galaxy. Tolan Lark might be able to keep her safe, the question is, will she let him? This is the fourth book in the Distant Worlds Series. It can be read on it’s own, but is better when read in the series order.